Minor service, Major service, Oil change, please specify. 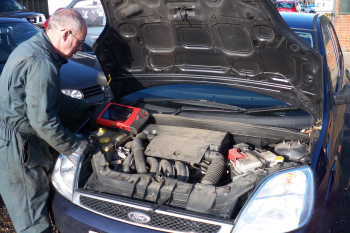 We are fully equipped to service cars and light commercial vehicles, including 4×4. This work is enhanced by our diagnostic solutions computer equipment and Autodata information allowing us to service all makes and models. We also use approved spares to ensure that the manufactures warranty is adhered to. We are able to collect and deliver within a 10 mile radius. Mon – Fri — 8:00am to 5:00pm. Sat — 8:00am to 12:30 pm. Sun & Public Holidays — Closed.